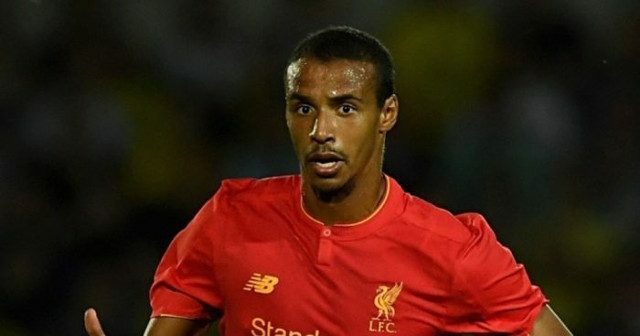 Though Joel Matip arrived at Anfield with a decent reputation, few could have anticipated just what an inspired piece of business he would soon turn out to be. In a campaign admittedly disrupted by injuries and issues regarding his commitment to Cameroon, he managed to cement a place as Jurgen Klopp’s first choice central defender. The fact he has rarely been discussed over the past few months reiterates what a silent but crucial contributor he has emerged as in this Liverpool team. Consistently dominant and composed performances mean fans have no reason to worry about him. As a free transfer, he represents an incredible bargain in the modern day market. Former Reds defender Daniel Agger has praised the 25-year-old for his impressive start to life on Merseyside and believes he is in a position to improve even more. “I think he did well. The first season is always tough, not only for defenders but any Premier League player,” the Dane told Liverpoolfc.com. Not only did Matip impress as an individual, but he proved to be a key influence in Dejan Lovren’s notable rise to form following a difficult start to his Liverpool career. He quickly grew to represent a key player in strengthening the spine of the team and thereby an example of the kind of player Liverpool would look to target in the summer transfer window. Matip could start the season with a new central-defensive partner with the club having been keen on Virgil van Dijk, until reportedly ending interest following an apparent illegal approach for the Southampton man. That said, there remains to be a quiet confidence the Dutchman could yet still arrive to create a formidable duo with Matip. The idea Matip has a lot he can take from his first season in England bodes extremely well ahead of next season.